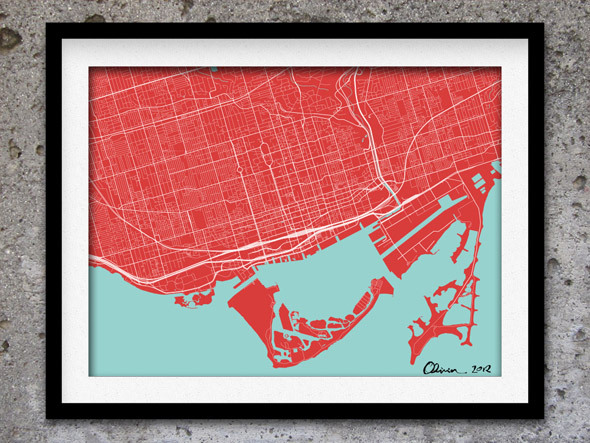 For those looking for Toronto-themed gifts this holiday season, you could do worse than one of the many quirky maps local artists and designers have plotted out over the last couple of years. 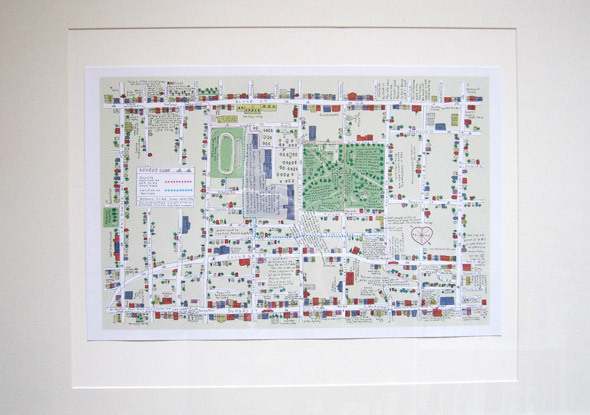 Not only are they typically reasonably priced — generally coming in at around $40 — but there's more to choose from than ever as mapmakers continually rethink ways to chart the city that defy conventionality. While there's a preponderance of word and neighbourhood-related maps floating around out there, these are more than mere clones of the popular Ork Map. 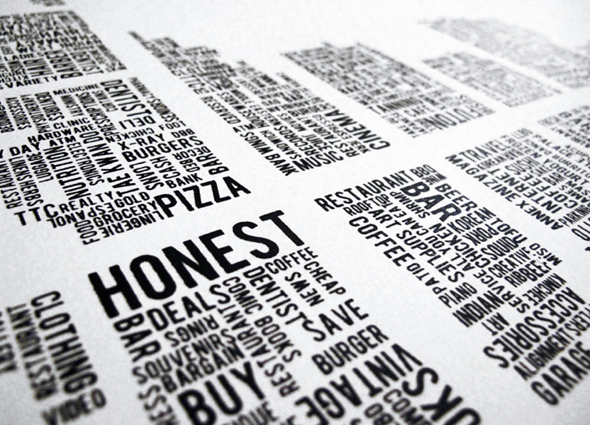 Each of them reveal unique cartographic efforts with little double-ups in terms of overall concepts. 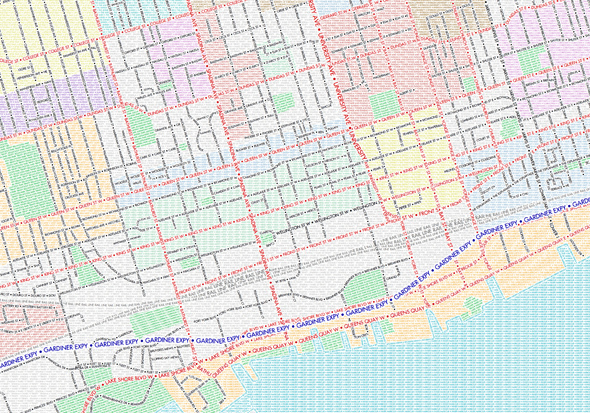 Here's a roundup of five city maps for the Torontophile on your list. 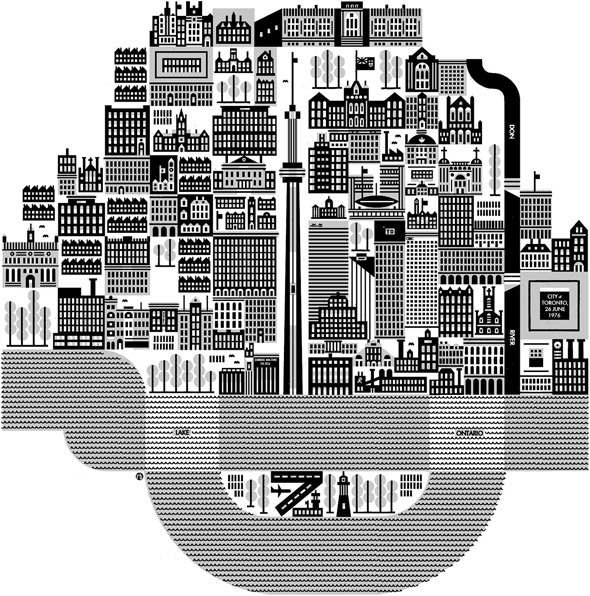 City of Toronto 26 June 1976 Silkscreened Print 2nd Ed.